MDS2 is NOW AVAILABLE in DOWNLOADABLE format!! if you wish to purchase the MDS2+ Program WITH $500 WORTH OF DOWNLOADS, guess what.. you can get that for only $79.95!!!!! WHAT A DEAL! Click here for the list of $500 worth of content included with this version. I guess you can tell which one I think is the best deal... I'll be buying MDS2+ to get all those downloads plus the new program. Well, I am sure you are asking... "is there TRAINING to help me with this new program!?" Recolor your Designer paper (DSP) to any color palette! Recolor embellishments... want Cherry Cobbler Dahlias? it's a snap! Wrap text into shapes.. swirls, circles, zig zags, etc.! I'm not going to lie....my family and church have sort of taken over everything and I think I will be pretty quiet here on my blog as I have been for a couple of months already. My daughter has softball twice a week and my son has soccer three times a week not to mention piano lessons and scouts and being involved with the Youth in my church and being asked to do other things from my church as well as planning a baby shower for a friend and starting to look to buy a new home...I am happy but I am unable to be in the blog world so please be patient in the next few months. I wanted to let you all know that Stampin'Up has a new 2012-2013 Idea Book & Catalog schedule. The new catalog will be revealed in June which means the retiring stamp sets and accessories have already been announced. Oh, almost forgot..for those of you who are into the digital world, Stampin'Up has a few Content CDs for 60% off...this content is not only availble for MDS but also for other digital software like Photoshop and Photoshop Elements for both Pcs and Macs. Here are the advent trees in a much smaller form. These sold out quick!!! I have finally finished all of my holiday shopping but I am still running around to birthday parties and Cub Scouts and Hip Hop rehearsal/show...the marathon never stops!!! Quick update...Nearly 200 new Clearance Rack items are being added to the Online Stampin'Up Store at discounts up to 80 percent off retail--while supplies last! This is available until January 5th. So...what happened? Oh, yeah Sale-A-Bration!!! Hello everyone....been missing my posts for a while now. The NorthEast has been bombarded with snow and the kids/hubby have been home a lot more days than usual. The winter months also mean more sick days for my little ones as well which means, unpredictable times!!! To tell you I'm a little behind is an understatement...things have been piling up and I am just trying to take one step at a time and taking deep breaths so that my anxiety level does not become unmanageable. So today, the kids are finally in school which gives me an opportunity to finally get a waaaaaay overdue haircut (going in about an hour) and giving you all some updates. First and foremost...Sale-A-Bration has started!!! Click HERE to access the catalog featuring all the FREE goodies you can earn up until March 31st, 2011. When you spend $50 on Stampin' Up! merchandise, you'll receive a free Sale-A-Bration reward. There's no limit--for every $50 you spend, you can select another FREE Sale-A-Bration reward! To start earning free, exclusive Sale-A-Bration rewards, contact your demonstrator or visit our Online Store now. When you host a workshop of at least $300 (before tax and shipping), you'll receive a free Sale-A-Bration reward in addition to all of the regular hostess benefits! Contact your demonstrator today to schedule your Sale-A-Bration workshop. 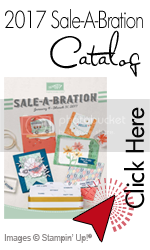 During Sale-A-Bration, anyone who joins as a demonstrator gets 15 percent off the price of the standard or Digital+ Starter Kits--that's over $310 worth of high-quality Stampin' Up! products for just $148.75! In addition, new demonstrators get a FREE Bonus Bundle worth up to $50! Stampin'Up has made it really easy for us all to gather some last-minute material in time to make gifts for teacher, friends, and co-workers. CHECK OUT ALL THE DISCOUNTED PRODUCTS HERE...REMEMBER THIS IS VALID FROM NOVEMBER 22ND TO NOVEMBER 30. ANY ONLINE ORDER OF $150 OR MORE WILL ALSO GET FREE SHIPPING !!! 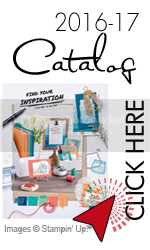 Stampin'Up has just added a few hundreds of items that have been out of production to their clearance rack...you better get these goodies while you can because once they are sold out, you will not be able to get them anywhere!!! Now, from October 5-18, we're adding over two hundred more discontinued items--some at up to 80 percent off--to help us make room in the Distribution Center for new products! Qualifying orders are eligible for hostess benefits/Stampin' Rewards. While the Blitz lasts from October 5-18, some items, depending on availability, may be made available in the Clearance Rack in the future. Click HERE to see all the Clearance Items and to get preferred pricing!!! Hope you all had a wonderful Thanksgiving. We are very grateful we have this time to enjoy each other here at home and to relax a bit. Secondly (and lastly) I wanted to let you all know that Stampin'Up has come out with an amazing promotion they call "Holiday Extravaganza". 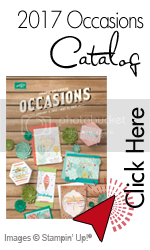 Anyone placing an online order through my online Stampin'Up store will get 30%, 40% and 50% discounts on a large selection of stamps and accessories from Stampin'Up. Click on the image below to see all the discounted goodies but hurry...offer end on Monday, November 30. Today is the last day to receive FREE SHIPPING on all orders for $70 or more. Visit my ONLINE STORE and place an order for $70 or more and your shipping will be FREE. This is a great time to shop for those retiring stamp sets that are 10% off through December 23rd as well. Two great deals to take advantage of. Contact me to place your order or if you need help. Stampin' Up! has Released the Retired List and Given Some GREAT Deals! Best of ALL - Stampin' Up! is offering 10% off all retired sets from now through December 23rd, so get those favorite sets at a discount! And there is STILL MORE - In addition to the 10% off from Stampin' Up!, they are offering FREE SHIPPING on all orders of $70 or more placed by December 23rd, 2008. All the retired stamp sets are available through January 18th, 2009. Please contact me to get your sets or visit my ONLINE STORE to purchase directly from my website. From now through January 16th 2009, when you spend $20, you get 20% off any stamp set from the Fall/Winter Catalog Sampler. Check out the Sampler or see the listed sets below. Contact me for more information, to get your catalog sampler or place your order. Do you need some help with holiday gifts and ideas for everyone on your list? How about some decorating tips? Do you want to package and wrap those special gifts with love and care? For the first in the Holiday Extravaganza series, check out our new Holiday Gift Giving Guide. This list has ideas for everyone on your list. From teens to that hard-to-shop for person. You can also click and print a Gift List Guide for all the products under $100. They are grouped by $10, $25, $50 and $100. Gifts to fit every budget and every person on your list to make Stampin' Up! your one-stop-shopping place. Contact me for more information or help you get started. ONLY A FEW DAYS LEFT TO TAKE ADVANTAGE OF THIS GREAT OFFER!!! From November 10th through November 30th, you get 20% off all Rub-Ons when you spend $20 on Stampin’ Up! products. Stampin'UP has come up with a fun and fabulous Festive Kit!!! Invite the warmth and coziness of the holidays into your home with Stampin’ Up!’s® Country Living Holiday Collection Stampin’ Kit. This kit has everything you need to create beautiful handcrafted ornaments. Contact me with any questions or some great project ideas made with this kit.